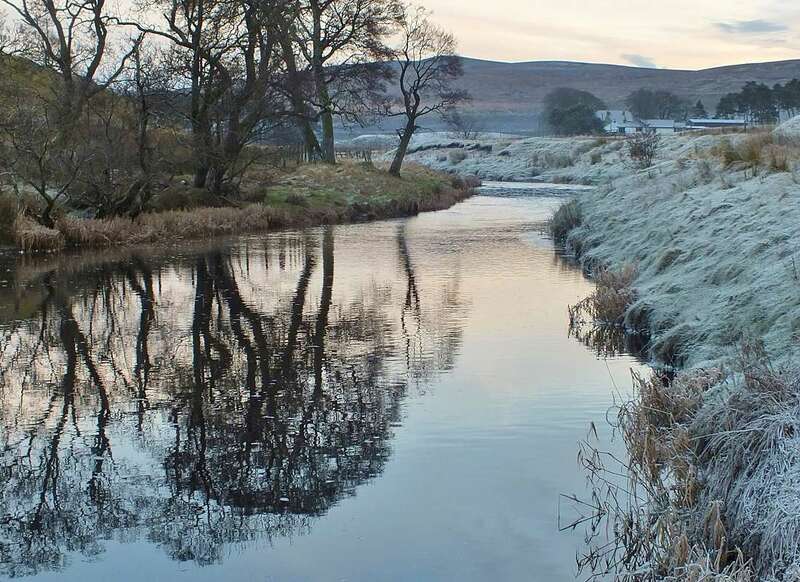 Ayrshire’s largest river rises at Glenbuck Reservoir on the boundary of Ayrshire and Lanarkshire and flows westwards 63 kilometres to its estuary at Ayr on the Firth of Clyde.It has a catchment area of 574 sq. 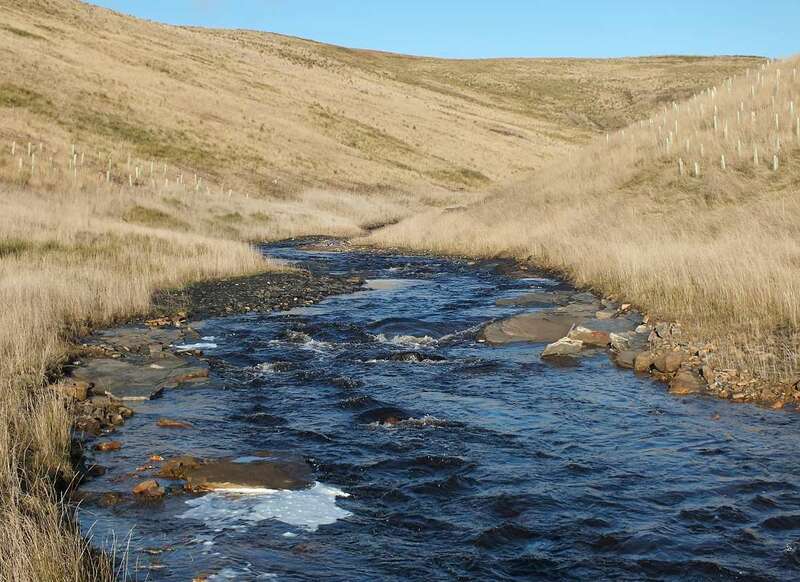 kilometres and its principal tributaries include the Greenock Water, Lugar Water, Water of Fail and Water of Coyle. 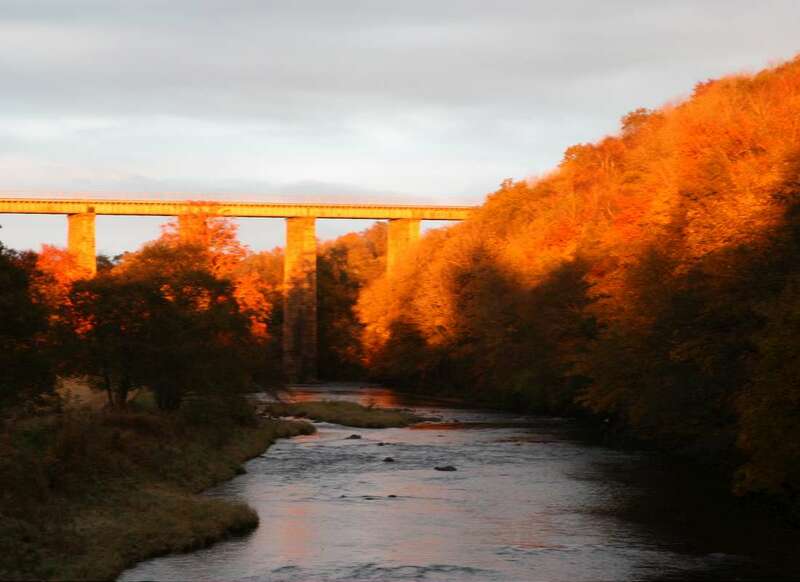 Principal land uses in the catchment area are agriculture, forestry, mineral extraction, leisure and recreation and urban development, the largest settlements being Ayr, Cumnock, Catrine, Ochiltree, Muirkirk and Sorn. 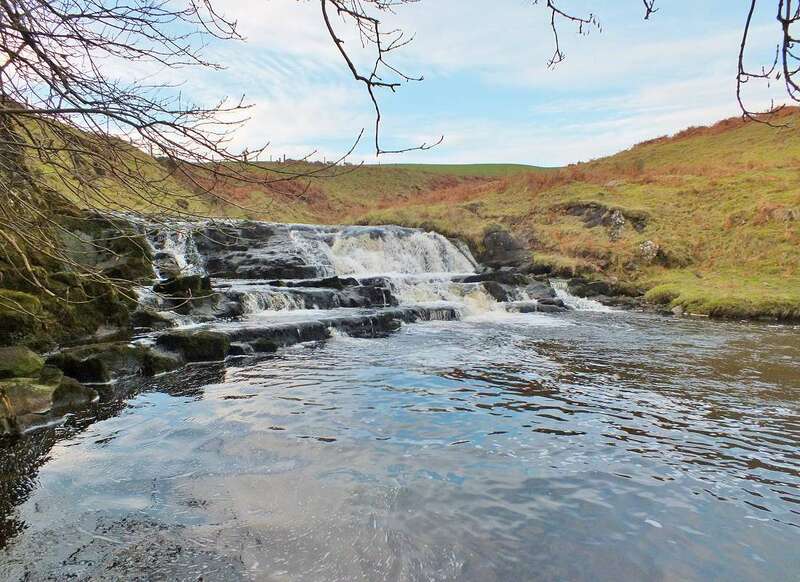 Notable features include Sites of Special Scientific Interest (SSSI’s) at Howford by Mauchline and the Failford Gorge, and an opencast coal mining industry. Fish species include salmon, sea trout, brown trout, grayling, eel, stickleback, minnow and stone loach. 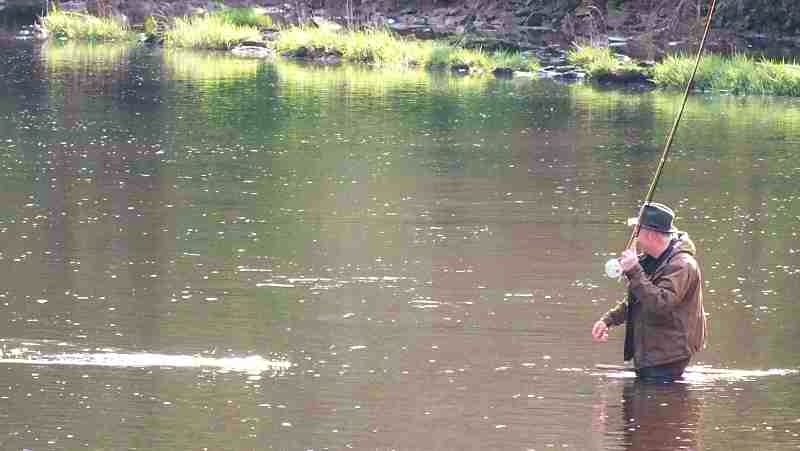 River management is undertaken by the River Ayr District Salmon Fishery Board, riparian owners and numerous angling clubs either as riparian owners or tenants. 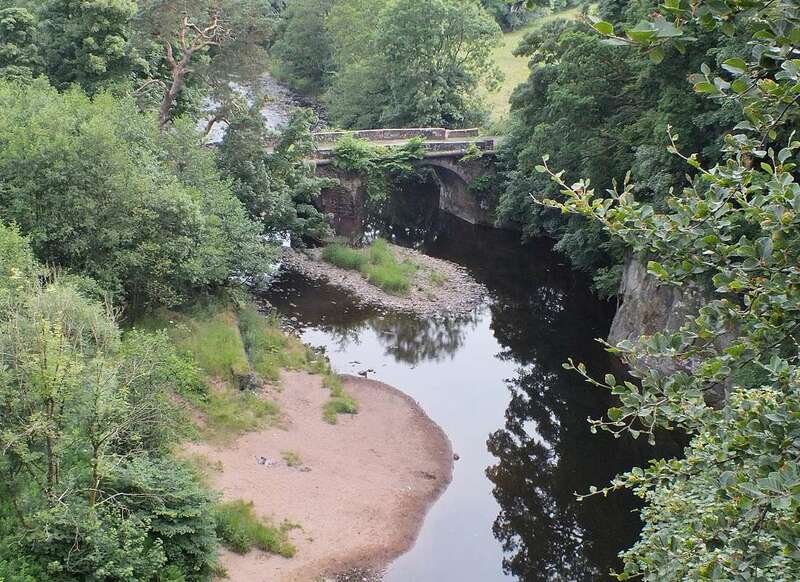 Largest river in Ayrshire and currently classified as a ‘category 3’ river with 100% catch and release of salmon being mandatory as a conservation measure. Large human population in middle and upper reaches, e.g. Cumnock. Intensive dairy farming in lower half of catchment. Productive soils on Permian sandstones and Coal Measure rocks including limestone. Very high conductivity levels, increasing with distance from sea, primarily due to inputs from historic and current mining activities. Industrial heritage of mining and mills e.g. Catrine. Several old mill structures hinder fish migration. Modern industry e.g. chipboard plant, opencast mines. Constant threat of pollution from operational and disused coal mines. One of largest salmon rod catches in Ayrshire. Juvenile salmonid production greatest east of Mauchline and Cumnock in cleaner upland tributaries such as the Greenock, Guelt and Glenmuir. 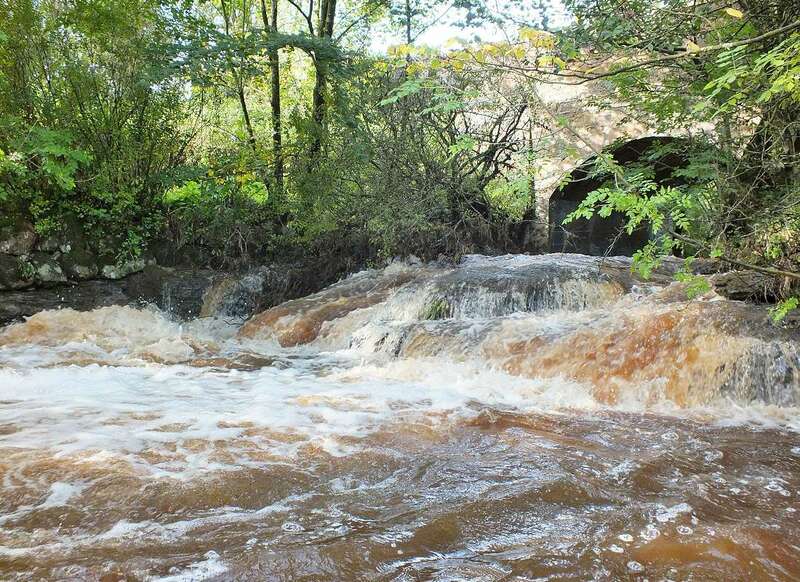 Salmon in tributaries with altitudes over 300m, highest reached by salmon in Ayrshire. Grayling population unique in Ayrshire (River Irvine population extinct). Sea lampreys recorded in 2004 (may still be present in other Ayrshire Rivers). 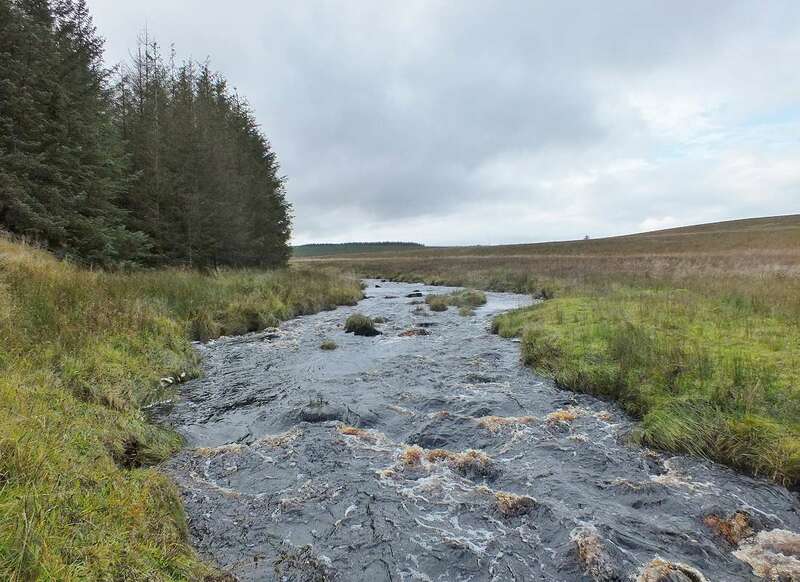 Low impact of conifer forestry and acidification compared to other Ayrshire rivers. ‘Source to sea’ River Ayr Walkway opened by East Ayrshire Council in 2006. High scenic value in areas such as Failford Gorge SSSI, Barskimming Estate. No large stillwaters in catchment, although many small lochs, some stocked with rainbow trout.